"Fame" is nothing short of a global phenomenon. From the smash hit 1980 motion picture, to the long-running TV series, music critics have called the story "a feel-good triumph" for more than three decades. Now, the red-hot, emotionally charged stage show, seen by millions of people worldwide, is coming to Lewiston. 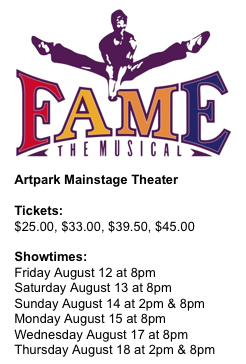 "Fame - The Musical" returns to the Artpark stage after a 10-year absence in time to capture the interest and current passions of "High School Musical" fans and "Glee"-lovers. 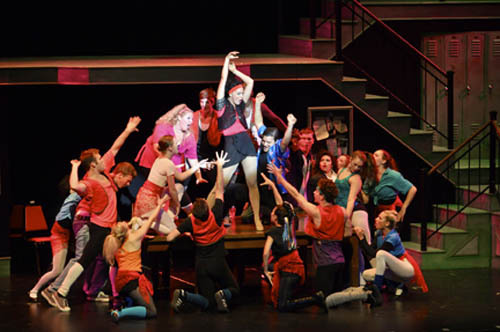 Packed with high-energy stage performances, and carrying the message of determination in the face of life's challenges, the show promises to be a can't miss review in the style of recent productions including "Aida," "Beauty and the Beast," "Joseph and the Amazing Technicolor Dreamcoat" and "All Shook Up." The show is on stage Aug. 12-18. 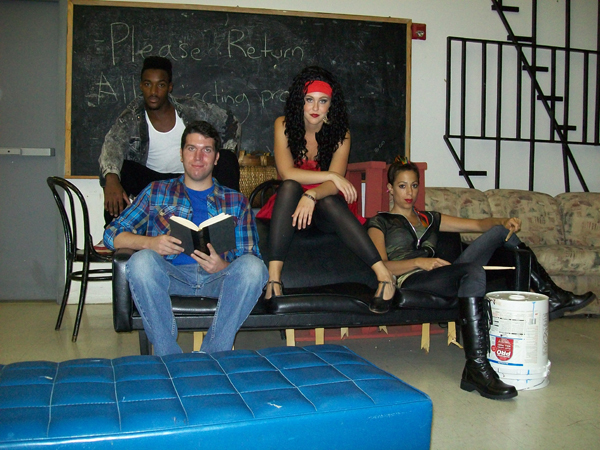 Set during the last years of New York City's celebrated High School for the Performing Arts on 46th Street (1980-84), "Fame - The Musical" is a bittersweet but ultimately inspiring story of a diverse group of students as they commit to four years of grueling artistic and academic work. With candor, humor and insight, the show explores the issues that confront many young people today, including prejudice, identity, self-worth, literacy, sexuality, substance abuse and perseverance. 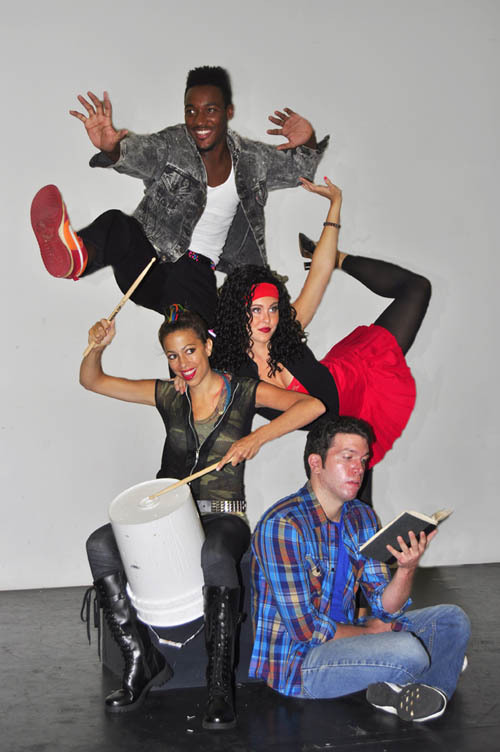 "Fame" is directed by Randy Kramer and choreographed by Lynne Kurdziel-Formato.